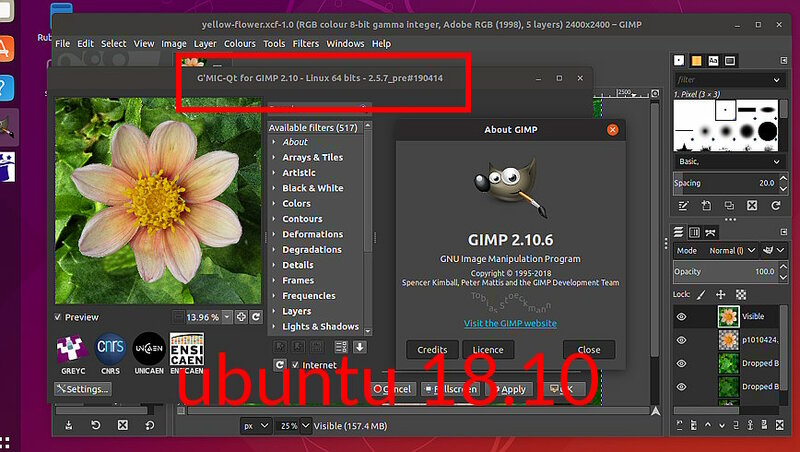 This is about the gmic_gimp_qt plugin for Ubuntu 18.04 (also Mint 19) which is a LTS favoured by many who do not want to re-install their OS every six months. 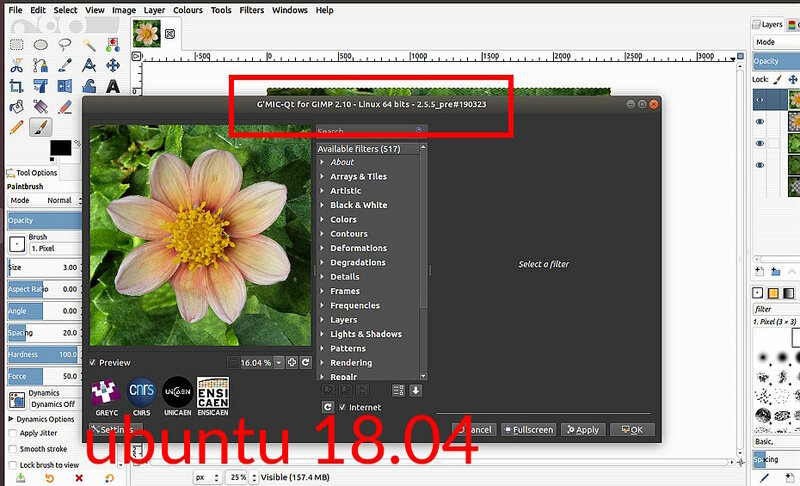 I can compile in my regular 'buntu 16.04 using the last of the PPA pre-Gimp 2.10 (2.9.9) - no issues. However, failure, this with 'buntu 18.04 and the PPA gimp 2.10.8 packages. Believe me, libgimp2.0-dev package is installed. 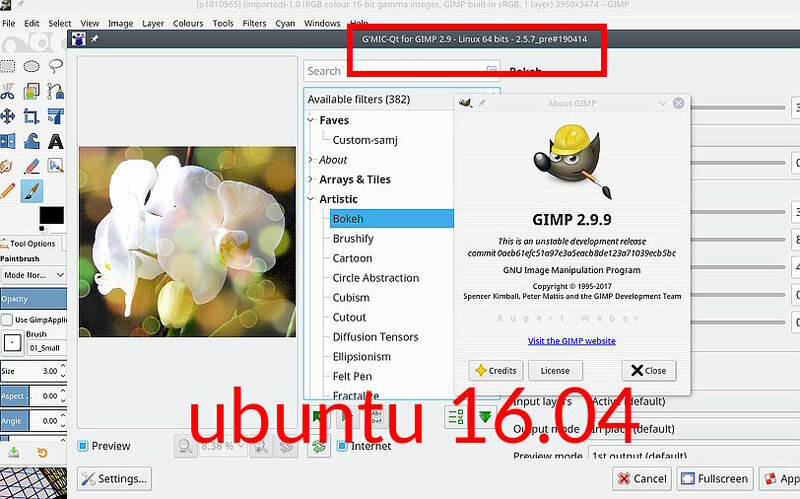 Been like that since the last gmic_gimp_qt version 2.5.5 compiled 23 March. Tried all I know without effect. Your down-loadable packages do not work here with PPA for 'buntu 18.04. 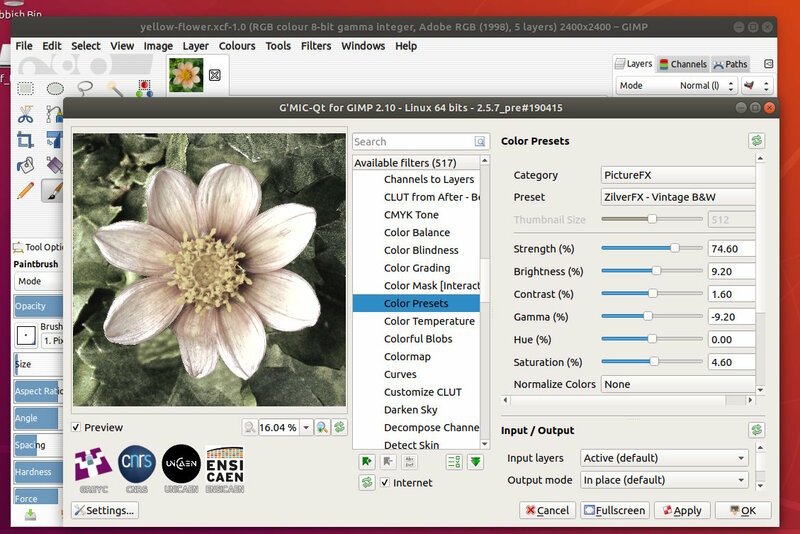 Both sid and cosmic packages fail - wrong gimp version - wrong QT version…etc. Bound to be something simple, or even better can you provide 'buntu 18.04 (bionic) packages. New day, new brain, new look at what I am doing. 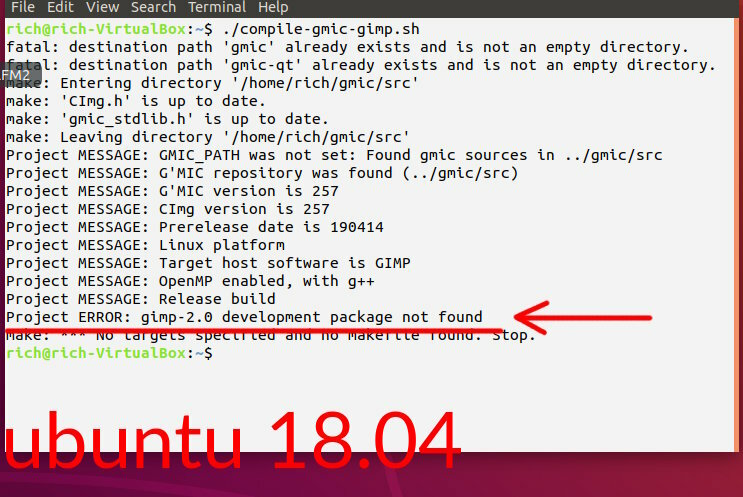 In 'buntu 18.04 somehow lost the libgegl-dev package. 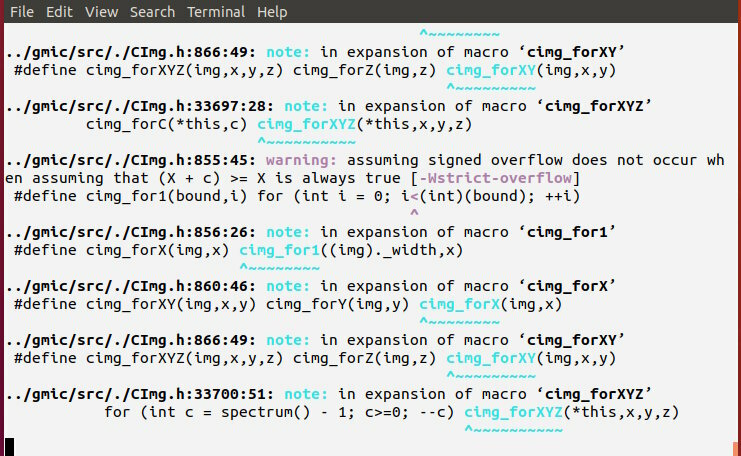 Back in and gmic_gimp_qt compiles. but end result runs ok. 517 filters. This one of the color presets. Unpacks without problem. The warnings are expected, they are due to g++ optimizations flags, they don’t appear with -O0 (still don’t know how to get rid of these).